It can be a painful experience for patients, who are already dealing with their disease, to find the correct dose of medication by trial and error. Artificial intelligence can significantly quicken this process thanks to a new algorithm developed by Adrien Coulet, lecturer at the Université de Lorraine and researcher in a joint Inria and Loria team, in partnership with scientists from Stanford University. By examining patients’ digital data, this ground-breaking tool can predict in advance whether patients will require a lower dose of medication, therefore minimizing the suffering caused by side effects. This outcome was illustrated in Nature Scientific Reports. With electronic patients’ data from Stanford University Hospital, the team of scientists was able to locate those who needed a lower dose than the typical one for certain drugs, even before treatment began. They employed an automatic learning method called “Random Forest Classifier”; this algorithm integrates the results of decision trees based on marginally different subsets of data. The technique was already recognized, so the pioneering side of this project lies in the groundwork and selection of the data used. Researchers gathered information from very different sources (analysis results, prescriptions, notes etc.) on groups of patients who needed to have their prescription of drugs altered or not. 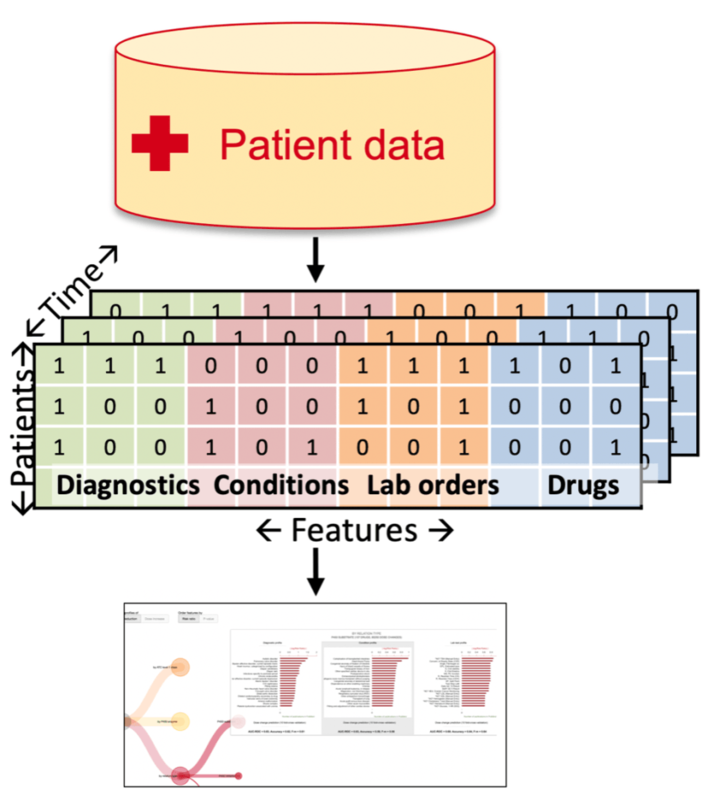 Patients’ data from Stanford University Hospitals has been computerized for years so the algorithm had numerous data on the extremely variable responses of patients to their treatments. This computerization of the health system enabled the algorithm to learn and then predict whether patients who had never been prescribed the drugs in question at the time would need a lower amount. Adrien Coulet and his coworkers were mainly keen on drugs that interact with the group of the P450 enzymes. Failures of this enzyme group are related to adverse reactions to numerous types of medications, including a few anti-cancer drugs. These adverse reactions can be restricted when the prescribed dosage of the anti-cancer drugs for chemotherapy is altered to suit individual patient according to his or her needs. Traditionally, these dosages are very hard to alter as the activity of the P450 group of enzymes is very dependent on the individual features of the patients. Therefore, the effects experienced by patients taking these drugs, whether positive or negative, can differ significantly depending on their personal history, their genes, or their way of life. The completeness and precision of the algorithm have made it promising to take this host of possibilities into consideration to apply it to new patients and make correct forecasts. Scientists currently hope to adapt this technology to the data and the social, scientific, and legal environment of hospitals in France. The computerization of the health system can provide crucial support to health personnel and prevent needless inconvenience and difficulty for patients.